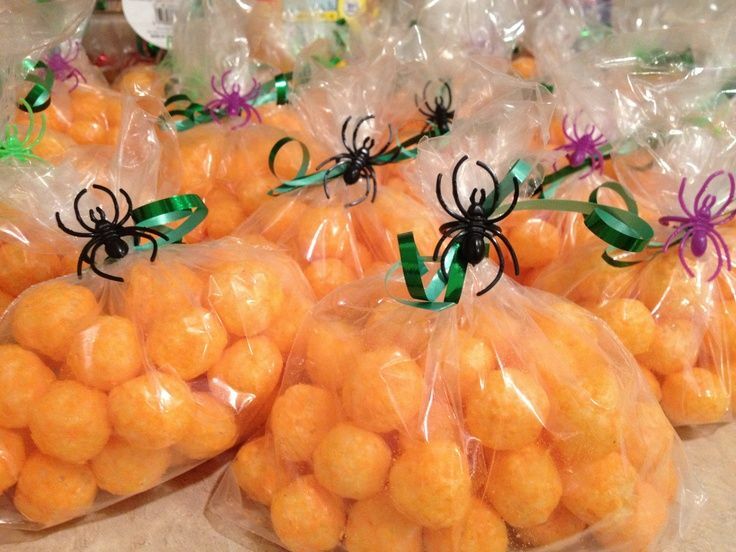 I love these individual cheese ball snacks all dressed up for Halloween. Yes sir, I believe they would be great for the family or a party. How fun would it be to decorate or have your guest decorate. Enjoy!! 1. In a bowl, combine cream cheese, Cheddar, scallions and Worcestershire. Form into a ball, then flatten slightly on top to form a pumpkin shape. Make an indentation on top where stem will be placed. Wrap in plastic wrap and freeze for at least 1 hour. 2. Place tortilla chip crumbs in a shallow bowl and roll cheese ball in crumbs. Press crumbs on any white patches. Place on a serving plate. Cut 2 olives into 4 triangles, 2 for eyes and 2 for the corners of a mouth. Cut remaining 2 olives into squares for teeth. Attach eyes and mouth to cheese ball with toothpicks. Cut pickle in half and place on top, forming a stem. Serve right away or cover loosely and refrigerate until ready to serve. 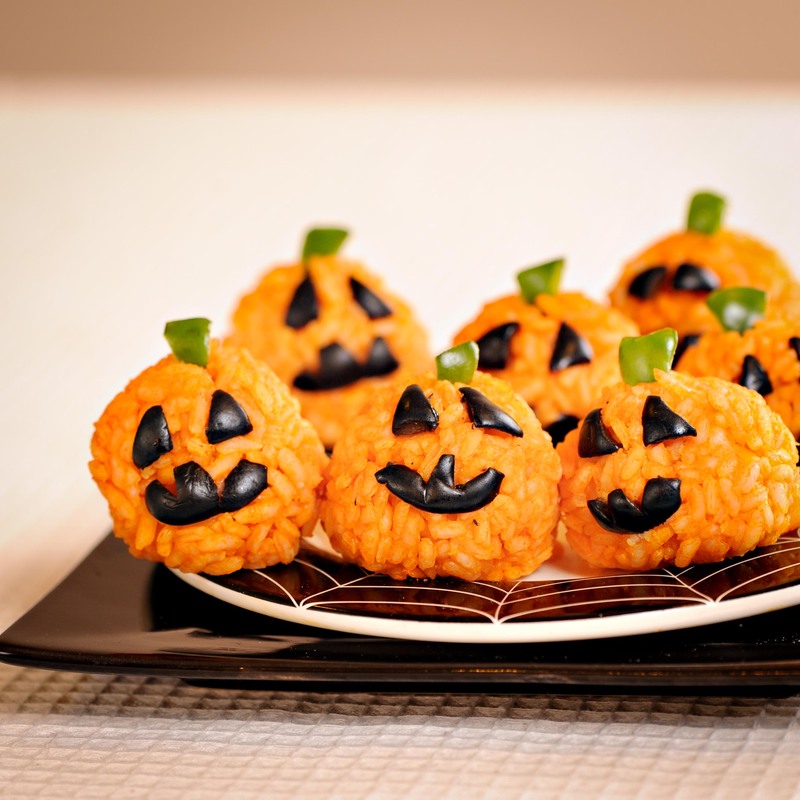 Serve with crackers, toasted baguette slices or pita crisps or any other Halloween goodies you might have! Next week is Halloween week. The fun style holiday is one that we can all get in on the act. For some it may not be going trick or treating or heading to a party dressed up but it may be more subtle. 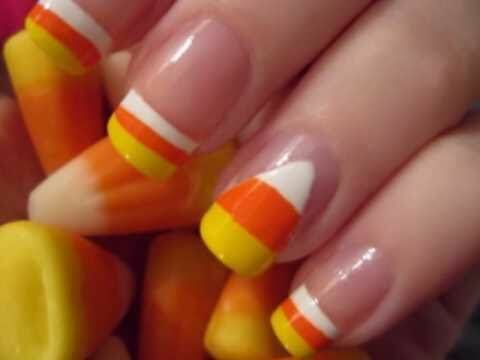 Dressing up your fingernails is an easy way to get in on the Halloween fun. 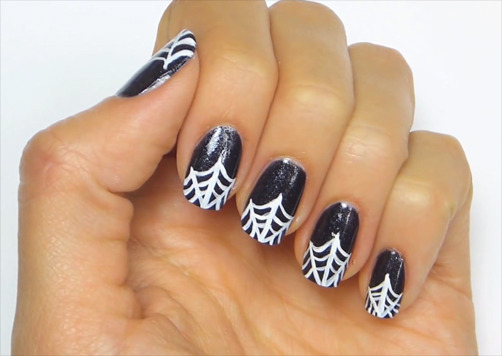 Check out these great ideas for fun to spooky nail painting ideas. 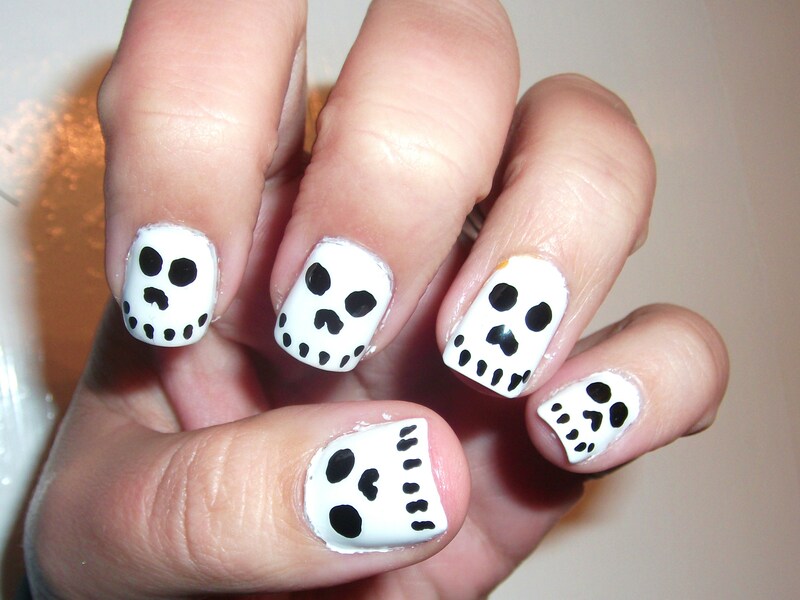 Now, are you inspired enough to come up with some cool nails of your own?? During the 1800s it was common place for factory workers to complete on average 100+ hours a week. 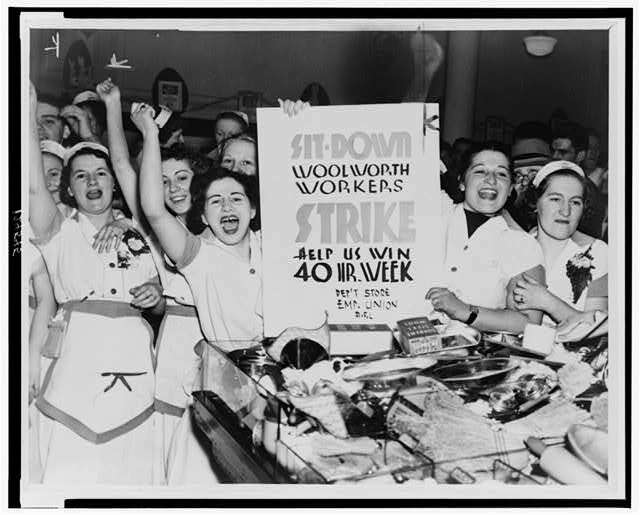 Seventy five years ago, October 24, 1940 the eight hour day and 40 hour work week became standard practice after a long battle between workers and government officials. The Fair Labor Standard Act established the 40 hour week. Pour Chex Cereal in a large bowl and set aside.In a microwave-safe bowl, melt chocolate chips, peanut butter and butter together on high for one minute. Stir and return to microwave, microwaving in 30 second increments until melted together and smooth. Stir in vanilla. Pour mixture over the cereal and gently stir to coat. (I used a couple of plastic baggies on my hands to toss the cereal in the mixture so I didn't crush it.) Pour cereal in a large zip lock bag, add in powdered sugar in, seal and shake until evenly coated. Spread cereal out on to wax paper and let cool completely. In a large bowl combine candy corn mixture, Candy Corn M&Ms, mini Reese’s peanut butter cups, pretzels, peanuts and mini marshmallows and add the cereal mixture in and mix together carefully . Store in an air-tight container. 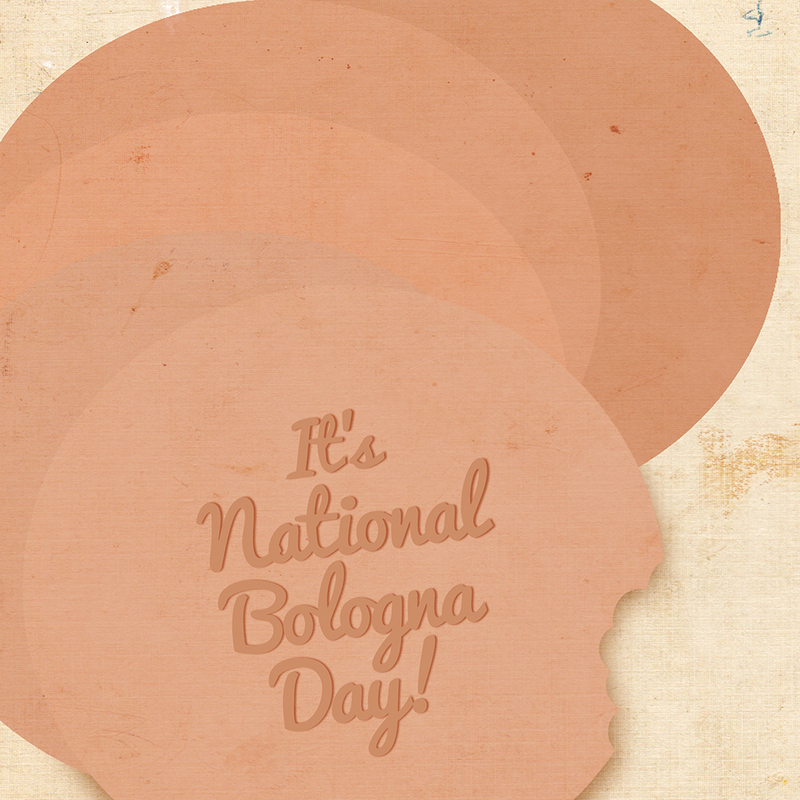 October 24th is national bologna day. Many enjoy a bologna sandwich but others may simply be full of baloney. Bologna is a sausage and is commonly used as a luncheon meat. Bologna comes in a great variety of forms depending on what it is made up of. Meats such as pork, beef, chicken and spices. 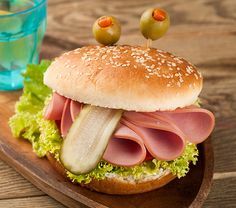 Purchase it in regular bologna whether sliced thin or thick, german bologna, beef bologna, kosher bologna and many more. Combine all cheese ball ingredients in large bowl; beat at medium speed until creamy. Cover; refrigerate 1 hour. Reserve 2 tablespoons cheese mixture for legs. Shape 1/2 cup cheese mixture into ball for spider head. Shape remaining mixture into round spider body. Place poppy seed into large shallow dish. Roll cheese balls in poppy seed, pressing seeds onto balls to coat. Place onto large plate or platter to form spider. Attach cherry tomatoes for eyes with toothpicks. Cover; refrigerate at least 4 hours or overnight. Just before serving, attach legs by breaking each pretzel rod in thirds. Insert 3 pieces into each side of body; use reserved cheese mixture to attach remaining pretzel piece to form bent legs. My mom is probably the person in my life that I would call a squirrel lover. It was in high school that I first noticed how much she loved her squirrels. It was if she was a squirrel keeper knowing how many there were, where the baby squirrels were located and devoting feeding her pet squirrels. Now that I have my own grand-children my mom has not changed and her devotion to squirrels has continued. Squirrel FoodSquirrels love walnuts, hickory nuts, hazelnuts, sunflower seeds and peanuts with the shells on. Make sure you only give them raw, unsalted varieties. Tip: Make sure you place your feeder where you can see it from a window. Watching the squirrels — and other animals — stop in and feast will be so much fun for the whole family. Meanwhile, your birds will be enjoying their own yummy treats! Our family is a meat carnivorous one and we love our meat. One of our favorite meats to serve this time of year is sausage. Sausage is so versatile and can be served fresh, cooked or cured. Sausage is not for just part of us but the entire world has sausage in their diet in one form or another. In Mexico it is known as chorizo, bratwurst in Germany, Salami in Italy, Boerewor in South Africa or Lap Chong in China. Valued for taste, variety and convenience sausage is one that many will turn to. Sport focused countries like the U.S. will celebrate the game with sausage. The fame of sausage began years ago with salt drying preservation technique has now became a culinary art. Combine sausage, bell peppers, onion, oregano, cumin and hot pepper sauce in medium skillet; cook over medium heat 8 minutes, or until vegetables are crisp-tender and sausage is heated through. This recipe is delicious and oh so yummy. We love that this bread would be perfect for the last 3 months of the year when 3 of our favorite holidays are present. Yummy. Also, just so you know, October 22 is nut day and well we thought would be a perfect time to share this recipe full of nuts. What is your favorite nut recipe?? Preheat oven to 350°F. Butter 9 1/4x5 1/4x3-inch loaf pan. Line bottom and 2 long sides with waxed paper. Whisk flour, pumpkin pie spice, baking powder, salt, and baking soda in medium bowl to blend. Using electric mixer, beat butter in large bowl until fluffy. Gradually add 1 cup sugar, beating until blended. Beat in eggs, 1 at a time. Beat in pumpkin, then vanilla. Beat in dry ingredients alternately with buttermilk in 2 additions each. Fold in cranberries and nuts. Transfer batter to pan. Sprinkle with 1 tablespoon sugar. I love these pickled peppers yummy enough for all your winter pickled pepper needs but so cute I am thinking gift from the kitchen as well. Place about 1 tablespoon of the pickling spices in each hot, clean jar. Pack peppers into the jars, leaving ½” headspace. In a pot, combine vinegar, water, honey, alum and pickling salt. Bring to a boil, then reduce heat and simmer about 5 minutes. Pour pickling solution into jars over peppers leaving ½” headspace. Add 1 tablespoon of olive oil over the top. Remove air bubbles. Wipe top rims clean then close the jars tight with two-piece caps. Let set for 12-24 hours. Check seals. Ready to eat in 3 to 4 weeks. Medicine is described as a product that changes the way your body works or treats or prevents a disease. I have arthritis medicine that helps how my body works and diabetic medicine that helps treat and prevent disease. 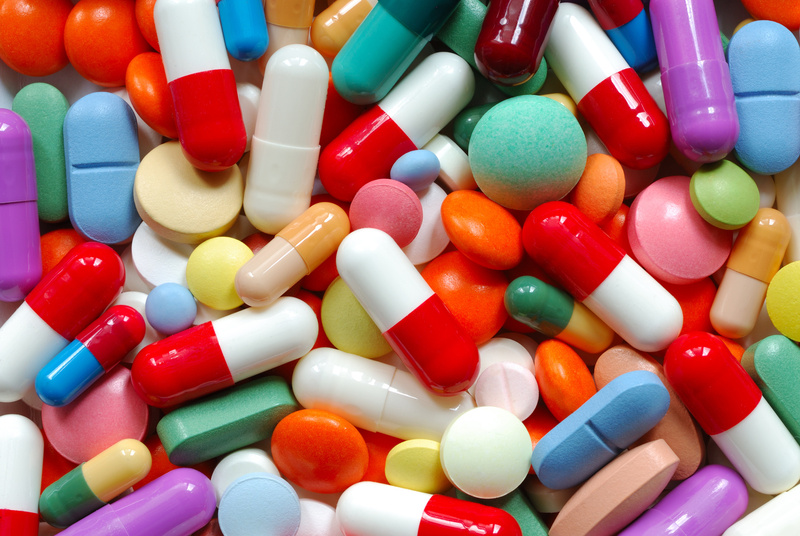 Most medications fall into one of two categories a prescription such as blood pressure medicine, diabetic medications, antibiotics or birth control pills. The second is Over the counter drugs (OTC) that you can buy without a prescription, these range from aspirin, antacids, laxatives, and cough medicine. The goal of medicine is to lead to better health, improved quality of life, longer life for people with diseases such as cancer, heart disease, and other life threatening conditions. Medication also have risk and it is very important to weigh the benefits and risks for each medicine. generic medication has the same active ingredients as the brand name it normally goes by its chemical name. Generic drugs work the same way in the body and is the same dosage, safety, strength, how it is taken, quality, performance and intended use. dietary supplements and herbal remedies do not have the same strict guidelines as prescription drugs. They do not have to be proven safe, that they work or that they are clean, pure, or actually contain what the label claims. medications can cause problems even if used as prescribed. allergic reactions occur when your body's defense system reacts in a bad way to a medicine. Reactions may include hives, itching or a rash. Reactions may also result in the narrowing of the throat, difficult breathing, shortness of breath. (1) learn about your health conditions and medicines from your healthcare providers and pharmacist. (4) use one pharmacy this will help you keep tract of important records. Your pharmacist will also be able to help you monitor which medications you take and what interactions are possible. Always double check your prescriptions as the pharmacist are humans and mistakes are possible. (6) always contact your health care provider with any problems and be sure to ask questions. What am I taking this medicine for? Is it a brand or generic drug? How it should be taken. How often and what time of day (For example, does four times a day mean during the daytime or within a 24 hour period)? Will I need a refill? How do I tell if the medication is working? Are there foods, drinks (including alcoholic beverages), other medicines, or activities to avoid while I'm taking this medicine? Where and how should it be stored? this cheese ball reminds me of one of my favorite movies hell fighter. Oh yes, it is a bit grim and goory but it is for a spooky holiday Halloween. The cheese ball recipe is from Martha stewart. Put butter, cream cheese, lemon juice, Worcestershire sauce, hot sauce, salt, and pepper into the bowl of an electric mixer fitted with the paddle attachment; mix on medium speed until combined. Divide equally among 3 medium bowls. Stir cheddar cheese and chutney with base mixture in the first bowl. Form into a ball. If not using immediately, refrigerate up to 3 days or freeze up to 1 month. Roll cheese ball in cranberries to coat before serving. Serve with crackers. Stir blue cheese and shallot with base mixture in second bowl; add brandy, if desired. Form into a ball. If not using immediately, refrigerate up to 3 days; freeze up to 1 month. Roll in walnuts to coat before serving. Serve with chips. Stir goat cheese and scallions with base mixture in remaining bowl. Form into a ball. If not using immediately, refrigerate up to 3 days or freeze up to 1 month. Roll in parsley to coat before serving. Serve with cucumber slices. Cream butter and sugar together, until well combined, but not fluffy. Add in the egg yolk and mix together well. Add in the extracts and blend in. Add the flour and kosher salt. Mix well – you will get a crumbly dough that holds together well when you squeeze it in your hand. Take heaping teaspoons-ful of dough (smaller than a walnut, about the size of a peanut shell when you roll it into the finger shape) and squeeze them in your hand so that the ridges between your fingers make marks on the dough and you get a 2-inch- 2 1/2-inch long finger shaped cookie. You can elongate the cookie by gently squeezing the sides. Place the fingers on a parchment lined cookie sheet. Take well formed almond slices and press them into the ends of each cookie – they will look like fingernails. Using the back of a butter-knife, make knuckle ridges. Chill the formed cookies in the refrigerator until they are hardened, about 15 minutes. Bake at 325 degrees for approximately 22-25 minutes, until the cookies are lightly browned on the edges and bottom. Cool completely. To finish off the cookies: place a large spoonful of raspberry jam in a zip-lock style sandwich bag. Seal the bag. Snip off a little corner of the bag so that you can pipe the jam out of the corner. If the almond nails are loose, remove them and place a little jam where the nail was – replace the almond on top of the jam. If the almond nails are not loose, simply pipe a little jam at the base of the nail for that bleeding look. The golden tortoise beetle (Charidotella sexpunctata) is a species of beetle in the leaf beetle family, Chrysomelidae. It is native to the Americas. This beetle consumes foliage of bindweeds, morning glories, and sweet potato (all in the Convolvulaceae). Both adults and larvae feed on foliage. This beetle's adults are 5 through 7 millimeters long. It is variable in color from reddish-brown with bl...ack spots through gold, and it is often metallic, earning it the nickname "goldbug." Elytral margins are expanded and nearly transparent. This beetle's color changes through its development, during mating, and during times of disturbance, such as touching by a researcher. Scientists have not examined the color-change mechanism in this species. However, color change in the related Panamanian Charidotella egregia, also called golden tortoise beetle, occurs when this beetle's elytra hydrate and dehydrate. Adults of both species can turn from shiny gold through reddish-brown when disturbed.